The Influenza Diabetes Task Force, a newly founded international alliance of organizations dedicated to the protection of people with diabetes against influenza, launches a campaign on influenza & diabetes. It is the first multi-stakeholder international campaign advocating for the need to increase influenza vaccination rates among people with diabetes worldwide. The campaign will start at the beginning of the 2018-2019 Influenza season. Because the risks of influenza for people with chronic diseases can no longer be understated, respected members of the Influenza and Diabetes community developed 6, 30 seconds to 3 minutes micro-learning videos to educate on the link between influenza and diabetes. These videos are freely accessible at https://idc.mytonomy.com. “The videos are short and engaging. They provide reliable and accessible information on influenza & diabetes, the flu vaccine, and how we can, as healthcare professionals, talk to our patients about getting vaccinated against influenza. I am proud to be part of this sound initiative that contributes to improving collective knowledge about influenza and diabetes.”, said Prof. Ab Osterhaus, Chairman of the European Scientific Working Group on Influenza. Healthcare professionals have a privileged relationship with patients and are at high risk of being exposed to the influenza virus. For that reason, the first international Influenza & Diabetes Campaign is targeting clinicians. “All members of the healthcare team have an important role to play in preventing disease. Getting vaccinated ourselves and encouraging our patients to get the yearly vaccine is a smart step that we can all take to boost our immune protection against influenza. This simple message is at the heart of the Influenza & Diabetes International Campaign.” said Phyllis Zimmer, Founder and Chairman of the Nurse Practitioner Healthcare Foundation. Influenza is a highly contagious respiratory illness. Anyone can get influenza, but some people have a much higher risk of getting very ill from the infection. 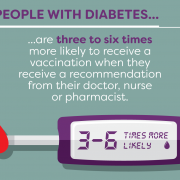 People with diabetes are 3-6 times more likely to be hospitalized during influenza epidemics. They also have a much higher rate of death associated with an influenza infection. Moreover, studies have shown that influenza can make diabetes difficult to manage. 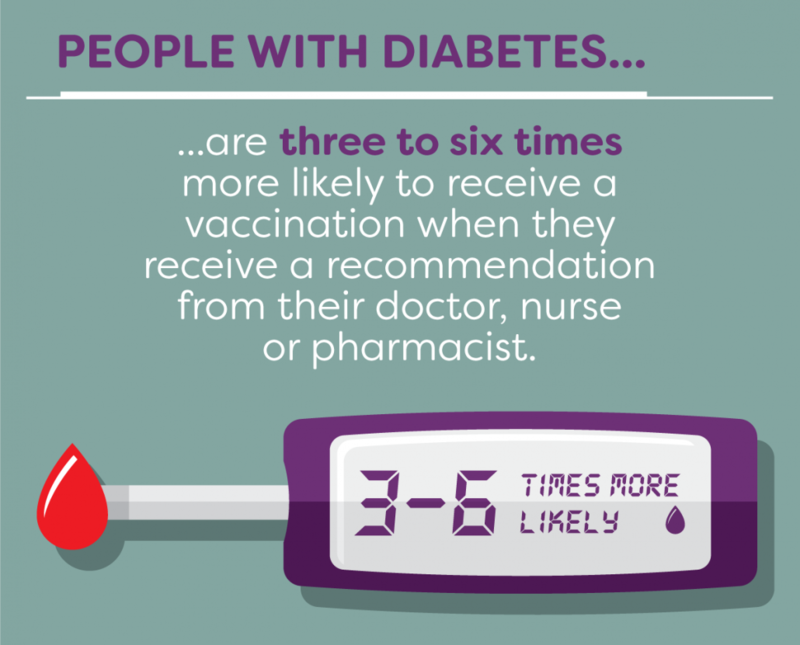 This is why yearly influenza vaccination is recommended by the World Health Organization for high risk patients, including those with diabetes. Bouter KP, Diabetes Res Clin Pract 1991;12:61-8. Allard R, Diabetes Care 2010;33:1491-3.